With Oculus Rift and Sony Corp’s Morpheus both hitting the market, and buzz building about Google’s forthcoming Magic Leap, 2016 looks set to be dominated by virtual reality — in every possible iteration and application. "Now, with Oculus Rift and Facebook, the device launching this year, it’s being democratized," she continued. "Tens of thousands of people are now thinking of how it could be used. We are going to see some amazing things." Indeed. The accessible price point and new immediacy of the technology is paving the way for countless creatives, educators, entertainers and marketers to experiment. And with the number of active VR users forecast to reach 171 million by 2018, according to a 2015 Statista survey, this is only the beginning. In fact, in our newly released 2016 Future 100 report, which provides a snapshot of trends across all key lifestyle sectors for the coming year, VR featured in pretty much every vertical. VR is also gaining credibility as a rich new medium for fine artists to experiment and create. Spring 2015 saw the appearance of VR headsets at fine art exhibitions across New York: a forest environment by Daniel Steegman Mangrané at the New Museum's Triennial, a 360-degree video for Bjork’s single "Stonemilker" at MoMA PS1, and a dreamscape that Jeremy Couillard integrated into the physical environment of a show at Louis B. James Gallery in the Lower East Side. Therapy is another unexpected application. Ford Morie told the audience at the Web Summit about using VR to help NASA prepare astronauts for the mental strain of long journeys to Mars, or perhaps beyond. She also said VR is being used to allow soldiers with PTSD to virtually engage in mindfulness and complementary treatments via avatars. The future will be even more exciting when VR is combined with other senses, she said. "There are ways to use it that we can’t even manage right now. VR can isolate you from this world, but also export you from it. It can take you to a place that is safe, or mystical. Smell is an area that’s very interesting. There are still things in the world we don’t know how to digitize—atmosphere, the spiritual, essences—intangible things that are very meaningful to us as human beings that could be incorporated into VR." Marketers and retailers, of course, have already been quick to jump on the powerful immersive storytelling potential of VR. 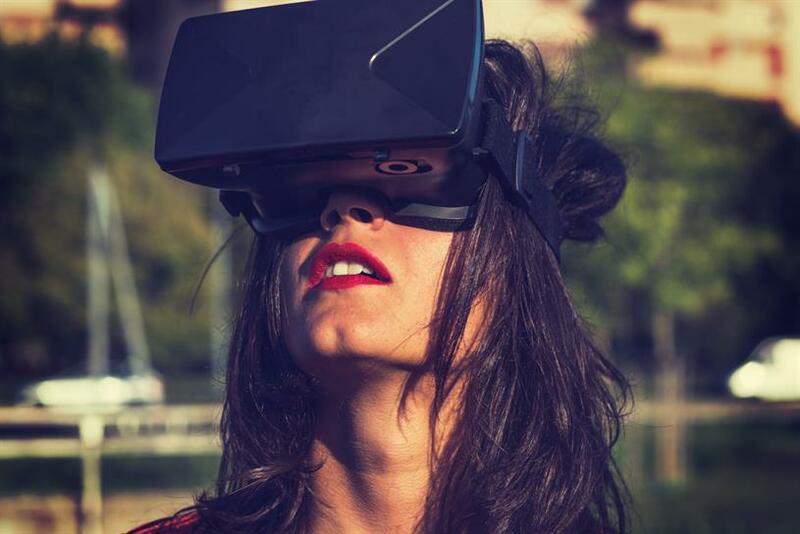 A string of alcohol brands, from Jim Bean to Patron, have introduced VR experiences to bring their campaigns to life. There have also been a litany of movie-branded VR experiences: Recently, the Fox Innovation lab announced a forthcoming VR experience based on The Martian, starring Matt Damon. Launching in 2016, consumers will be able to explore Mars virtually just as the film’s protagonist did. Scott Harrison, founder of Charity:Water, recently described VR as an "empathy machine," explaining how his organization has created an immersive storytelling film using VR to bring the plight of those without water to a wider audience and drive donations to the cause. The film launches next month. "We wanted to innovate in our storytelling to make this seem more real and to be more effective as a call to action," he said. Retailers are also excited about the potential for Virtual Reality to finally bridge the gap between online and offline shopping. "For me, this is the year virtual reality is going to explode," said John Vary, innovation manager at UK department store chain John Lewis. "It has massive potential for retailers. You can bring the catalogue and rooms to life. Putting people in the center of environments makes e-commerce more immersive, and will have a big impact on selling bigger items like furniture, as it will give them the confidence to purchase." Brands like The North Face have experimented with Google Cardboard; luxury boutique The Apartment has also used Samsung Gear VR to create a remote shopping experience; and Tommy Hilfiger’s Fifth Avenue flagship store has already installed Samsung Gear VR headsets, allowing shoppers to view and shop the label’s fall fashion show virtually. Any dangers to this 360 Virtual Reality onslaught? Ford Morie only highlighted one: The unknown. If technology of this kind becomes pervasive and is used with frequency by children and teenagers in their developmental years, such is its transformative impact on balance and audio visual awareness, it could impact their health, she warned. "We don’t know how it will affect their eyesight or physiology," she said. "It could have an impact from a developmental perspective." Still, the lines of tech-head teenagers and children lining the blocks (or virtual blocks) to buy headsets won’t stop to care. Make way for the VR revolution.